If you have ever wanted to experience the absolute extreme thrill of being driven "flat out" by a professional driver in a fully modified 400kw 6000cc V8 Holden race car... Then this is definitely for you! Experience life in the fast lane as one of our professional V8 drivers from the NZV8 Hot Laps team "accelerates your life". 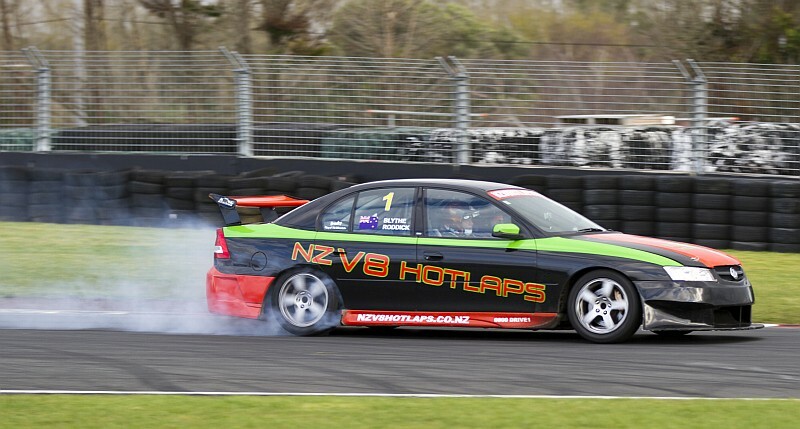 Then your NZV8 Hot Laps experience goes up to "extreme" and your heart rate quickens as one of our vastly experienced NZV8 Hot Lap drivers takes you out on-track for the ride of your life! Premium Option: 5 flying laps... (followed by cool down lap).